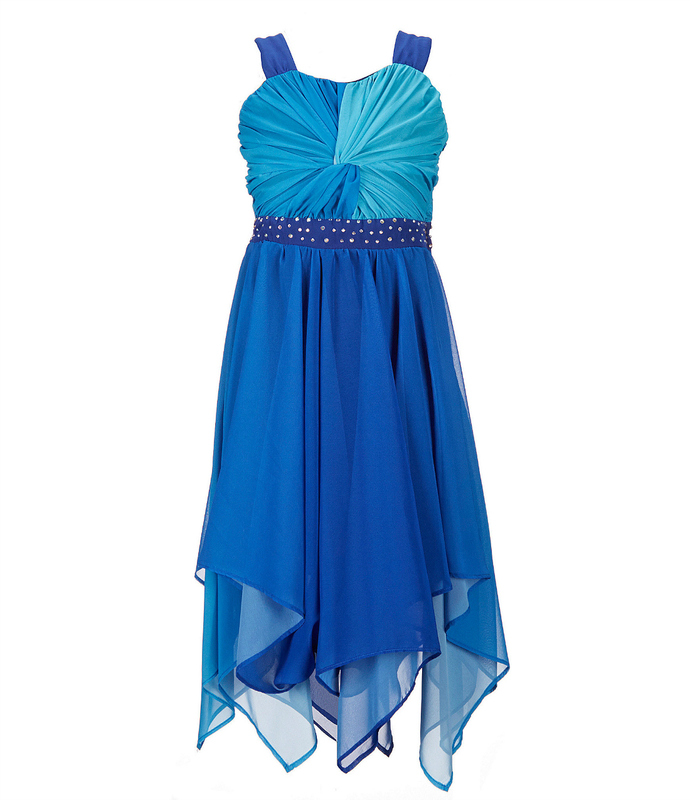 Absolutely Stunning blue sleeveless dress for your tween girl! This dress is PERFECT for a birthday party, pictures, Easter, wedding and any other special occasion! From Tween Diva, this dress features: ombr� pattern square neckline sleeveless silhouette shirred bodice empire waist with decorative detail flared sheer chiffon- and lace-paneled skirt handkerchief hem side zipper polyester hand wash Imported.